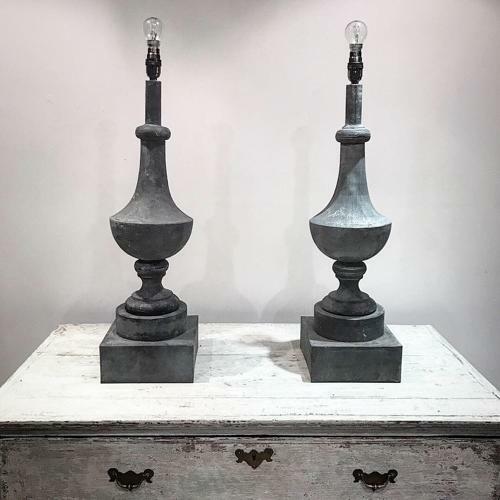 A beautiful pair of 19th century French zinc finials. Now converted into stunning lamps. Price is for the pair.